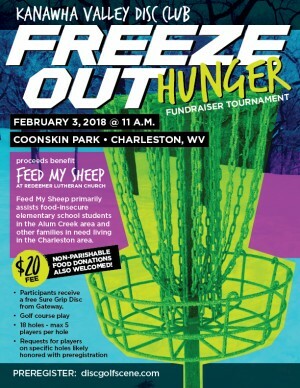 This is a fundraiser for hunger and proceeds will go to the "Feed My Sheep Program". All participants will receive free Sure Grip Disc from Gateway. This will be the first year playing on a golf course. 18 holes - max 5 players per hole and requests for players on specific holes will try to be honored if you preregister. There will be mulligans that can be purchased for fundraising purposes. 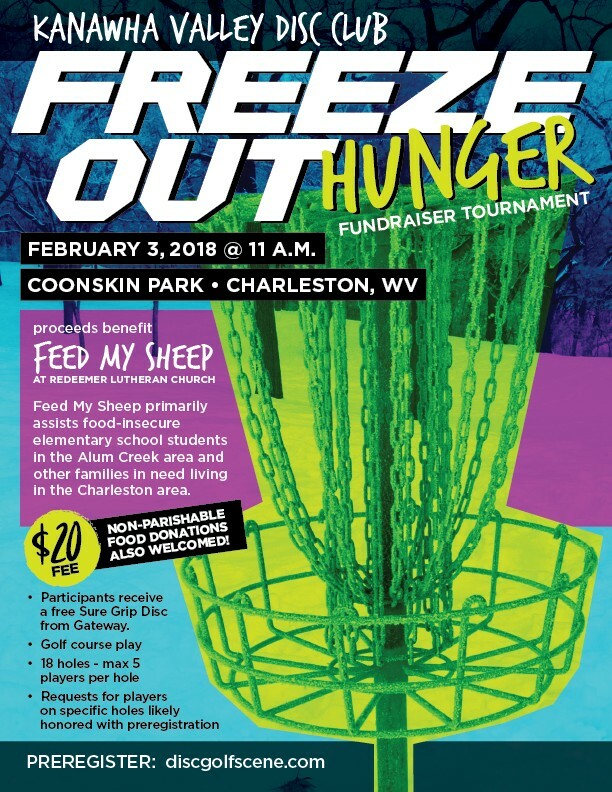 $1.00 per mulligan and $20.00 max for the tournament. Each mulligan purchased will enter you into raffle. Also at $10.00 and $20.00 level there will be choice of free shirt, disc or other miscellaneous gift for donating to a worthy cause.